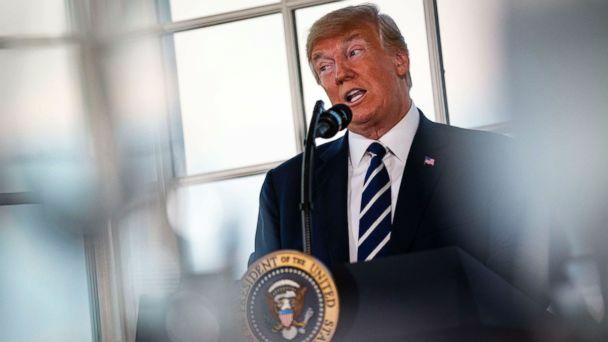 President Donald Trump's allies are mounting a fresh line of attack against special counsel Robert Mueller's Russian interference probe, zeroing in on ties between a senior Department of Justice official and the Washington research firm Democrats hired to investigate Trump. Both Jay Sekulow, Trump's personal attorney in the Mueller investigation, and House Intelligence Committee Chairman Devin Nunes of California, have called for renewed attention to the work of Bruce Ohr. Ohr was friendly with retired British MI6 spy Christopher Steele, author of the Trump-Russia "dossier," and Ohr's wife had also worked for the firm that had hired Steele to do that research, Fusion GPS. "If you look at the scenario of events that have taken place in this investigation in particular, I mean the corruption at the start of it -- and the new information, the Bruce Ohr information just coming out yesterday -- raises serious concerns all the way through," Sekulow said Wednesday on his radio show. On Sunday, Sekulow told George Stephanopoulos on ABC's "This Week" that Ohr's ties to Steele and Fusion GPS "concerned" him. Nunes echoed that view in a Monday appearance on Fox News Channel's "Hannity," saying Ohr's involvement is troubling. "I think people should pay close attention to it," he said. Ohr has not spoken publicly about the allegations and could not be reached for comment. For months, Justice Department officials have declined to comment on matters involving Steele and Ohr. However, a DOJ official noted Wednesday that Ohr was removed from the Deputy Attorney's office when his ties to Steele came to public light. In testimony under oath to Congress last month, embattled FBI agent Peter Strzok said the true nature of Ohr's role in the Russia probe - when it becomes public - will "reassure" the public and "disappoint" Republican doubters. Strzok told lawmakers that Ohr provided the FBI one of "a variety of copies" of Steele's dossier that the agency ultimately obtained, but Ohr's was not the first copy given to the FBI. Ohr may have also given the FBI other information, according to what Strzok said in open session. Strzok testified that in late 2016 or early 2017, he and Ohr spoke as many as five times about "operational" and "investigative matters." Strzok didn't offer any more specifics, insisting the FBI precluded him from providing further details about an ongoing investigation. It's unclear why Ohr has become the focus of renewed attention from the president's allies in recent days. Most of the allegations targeting Ohr this week are not new and have been public for months. Ohr's wife Nellie once worked at Fusion GPS, the private research firm which created the unverified "dossier" in mid-2016 that detailed alleged ties between the GOP candidate and Russian interests. According to a source familiar with her work, the Russian linguist was not directly involved in the dossier project. Steele, who served as a sub-contractor for Fusion GPS, was once a Russia espionage expert in the U.K.'s MI6 secret service. Steele met Ohr years ago when they traveled in common circles due to their work in the global security field. Fusion GPS originally gathered information on Trump and other GOP presidential candidates for the conservative news outlet Washington Free Beacon, but created the dossier while doing work for the Hillary Clinton campaign and the Democratic National Committee. The firm also had done opposition research on the Clintons for Republicans in the past, knowledgeable sources have told ABC News. A Fusion GPS lawyer declined comment when contacted by ABC News. The relationship between the Ohrs and Steele is what Sekulow and Nunes argue cast a partisan shadow over the Russia investigation's origins and also a secret surveillance warrant used to spy on Trump campaign adviser Carter Page in the summer of 2016. Page had been secretly investigated as a possible Russian government recruit as early as 2012 and Trump had identified him early in his 2016 campaign as one of his foreign policy advisers. Page, a campaign volunteer, had a minor role on an advisory committee, according to campaign aides. In an opinion column Tuesday for The Hill, writer John Solomon cited newly-obtained documents that indicated Ohr was talking to Steele before, during and after the 2016 election - which he argued was improper because the FBI had severed its relationship with Steele on Nov. 1, 2016 for allegedly providing information on his Trump and Russia research to a reporter after he had given it all to the FBI. Some Republicans investigating the Russia matters argue the FBI and Justice Department failed to properly inform a judge reviewing the request for a Foreign Intelligence Surveillance Act warrant targeting Page that one of their sources, Steele, held a bias against Trump and therefore had dubious credibility. But in 400 pages of documents recently released in lawsuits to several media and conservative watchdog organizations, law enforcement officials made it clear to the FISA Court in their applications that Steele was working for a private research firm doing opposition research to discredit Trump. They also noted that Steele had a "reliable" track record despite stating he was "frustrated" that the reopening of the Clinton email probe weeks before the election could help Trump win. A source familiar with Steele's work for Fusion GPS told ABC News that the retired spy grew hardened against Trump because of his research -- not prior to doing it.